Prof. PhDr. Miroslav Marcelli, PhD. is an author of numerous monographs and studies, many of which are translated into foreign languages, more than 90 professional papers published home and abroad as well (e.g. Michel Foucault alebo Stať sa iným. Bratislava : Archa, 1995; Filozofi v meste. Kalligram, Bratislava, 2008; Mesto vo filozofii. Kalligram, Bratislava, 2011;Telegraph, Orchester, Stadt: KommunikationalsProblem der Menge. In: Mediendenken: von der Bewegung des BegriffszubewegtenBildern, Bielefeld: TranscriptVerl., 2010). His role in the project will be to investigate the power aspects of knowledge and discursive practices in the process of subjectivation. Prof. PhDr. Zlatica Plašienková, PhD. is an author, co-author and editor of a large number of scientific monographs, studies and anthologies (e.g. Plašienková, Z.,Kulisz, J.: Na ceste s Teilhardom de Chardin.Trnava: Dobrá kniha,2004; Etika sebarealizácie ako podoba evolučnej etiky vývinu.In: Morálka a súčasnosť. Prešov: PU, 2008). She will contribute to the project with a research of normative value of human nature and dignity in the area of bioethical problems and with a conceptual analysis of responsibility as a value and as a norm. Prof. PhDr. Emil Višňovský, PhD. is an author and co-author of many scientific monographs (e.g. Štúdie o pragmatizme a neopragmatizme. Bratislava: Veda, 2009), editor of numerous anthologies published in both domestic and foreign publishing houses (Višňovský, E., Ryder, J., eds. : Pragmatism and Values. Amsterdam and New York: Rodopi, 2004). He authored more than 50 scientific studies registered in Scopus and WoS databases (with 60 citations). His participation on the project will consist in the research of the relation between science and values from the perspective of philosophy of pragmatism, research of scientific practices and in the exploration of relationship between science and technologies in the contexts of post/trans-humanism. 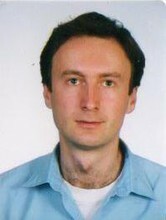 Prof. Michal Chabada, PhD. is a head of the Department of Philosphy and History of Philosophy at the Comenius University and a historian of philosophy. He compares historical philosophical conceptions with contemporary philosophical approaches. 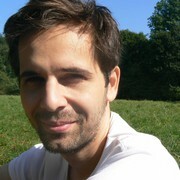 Prof. Chabada is an author of scientific monographs published home and abroad (e.g. Cognitio intuitiva et abstractiva : dieontologischen Implikationen der Erkenntnislehre des Johannes Duns Scotusmit Gegenüberstellungzu Aristoteles und I. Kant. Mönchengladbach: B. Kühlen, 2005, 27 citations). He also authored 35 scientific studies edited in Scopus and WoS databases with 16 citations. His assignment will be to investigate the ways of defining and justifying the boundaries and competences between science, faith, philosophy and theology in the history of philosophy and their relevance to the contemporary conceptions. Doc. PhD. 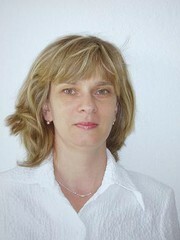 Erika Lalíková, PhD. is an associate professor at the research workplace, she specializes in history of Slovak philosophy. She is an author of a scientific monograph and several scientific studies, published home and abroad (e.g. Realita a filozofia na Slovensku: Ján Lajčiak, Gejza Vámoš a Svätopluk Štúr. Bratislava: Iris, 2010). She will be contributing to the project with research of selected philosophical conceptions of science which formed at the end of the 19th and in the 20th century in Slovak philosophy. These conceptions provide powerful inspirational sources for some contemporary views on the state of scientific knowledge. PhDr. 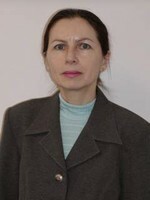 Lenka Bohunická, PhD. is an expert in the field of ethics and deals mainly with problems of bioethics and ethical norms. She leads a bioethics course at the department and instructs diploma theses oriented around the issues regularly. Related to these issues, she published several studies (e.g. Je racionalita v situácii morálnej voľby realitou či fikciou? In: Realita a fikcia, Bratislava: SFZ pri SAV, 2009). In the project, she will be dealing with actual questions of bioethics. PhDr. Kristína Korená, PhD. is a lecturer at the department. She specializes in history of 19th century philosophy and contemporary French philosophy. Her interests are focused on French neo-rationalistic philosophy of science (e.g. K otázke dialektiky v Gonsethovom variante neoracionalistickej filozofie vedy. In: Filozofia, 35, Bratislava 1980, č. 4). She will contribute to the project with research of selected accounts of science originating from French philosophy of science. PhDr. 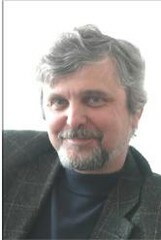 Ladislav Sabela, PhD. is a lecturer at the research workplace and specializes in metaphysics and philosophy and history of natural sciences, mainly physics. He regularly teaches courses on the history of natural sciences. Within the project, he will principally investigate the conceptions that are based on the dichotomy between facts and values and their theoretical consequences relating to the role of science in society. However, his research will also take into consideration the conceptions that refuse this dichotomy. Mgr. Róbert Maco, PhD. is a lecturer at the research workplace and has long-term research interests in the history of the 20th century philosophy and philosophy of mathematics. He authored several scientific studies in these fields (e.g. Filozofia matematiky raného Ernsta Cassirera. In: Filozofia, Roč. 65, č. 1 (2010); Husserl a matematika. In: Maco, R. (ed. ): Znak a fenomén. Bratislava: All acta 2007). For the project, he will provide research into genesis and production of mathematical knowledge as a specific type of cognitive practice and he will investigate how philosophical, religious and theological factors affect the production of a new mathematical theory. Mgr. 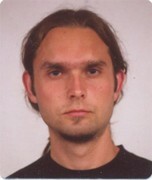 Martin Nuhlíček, PhD. is a lecturer at the department and belongs to the younger generation of scientific and pedagogical workers. His special interests lie in analytic epistemology, especially problems concerning justification. He authored several studies published in CC journals (e.g. Čo je zdôvodnenie? In: Filozofia 68 (2013), č. 2; Prečo externalistické kritériá zdôvodnenia principiálne zlyhávajú? In: Organon F 20(2013), č. 1). His work in the project implementation will be to study the processes of justifying claims in scientific knowledge. Je interným doktorandom na riešiteľskom pracovisku, venuje sa súčasnej analytickej epistemológii a otázkam bioetiky, vyučuje výberový seminár k problematike smrti. Publikoval štúdiu o naturalizme v dnešných diskusiách o skepticizme (v zborníku Lalíková, E., Bohunická, L. (ed.) Filozofia – literatúra – veda. Bratislava: Univerzita Komenského, 2014). Do tlače pripravil štúdiu “Čo ukazuje Nozickov stroj na zážitky?” Na riešení projektu sa bude podieľať výskumom otázky, prečo je zabíjanie (ľudí) morálne zlé. Mgr. Marek Vician is an internal doctoral student at the research workplace and as his task for the project he will critically reconstruct selected historical and philosophical conceptions of science. Mgr. 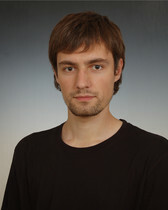 Štefan Zolcer is an internal doctoral student at the research workplace. For the project, he will analyse Whitehead’s conception of science.